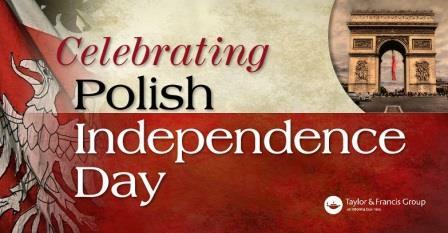 November 11 Marks 100 Years of Polish Independence after Poland disappeared off the map of Europe for 123 years. In 1795 the countries of Russia, Prussia, and Austria conspired against Poland and maneuvered to essentially conquer the country and divide Poland amongst themselves. Veterans Day in the United States, Armistice Day in the UK, and Polish Independence Day are all celebrated on November 11, as the date World War I ended, on the eleventh hour, of the eleventh day, of the eleventh month. 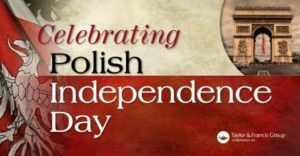 For more information follow this link for my 2016 post on Polish Independence Day. It includes a link to a fun video of the TV show Jeopardy! 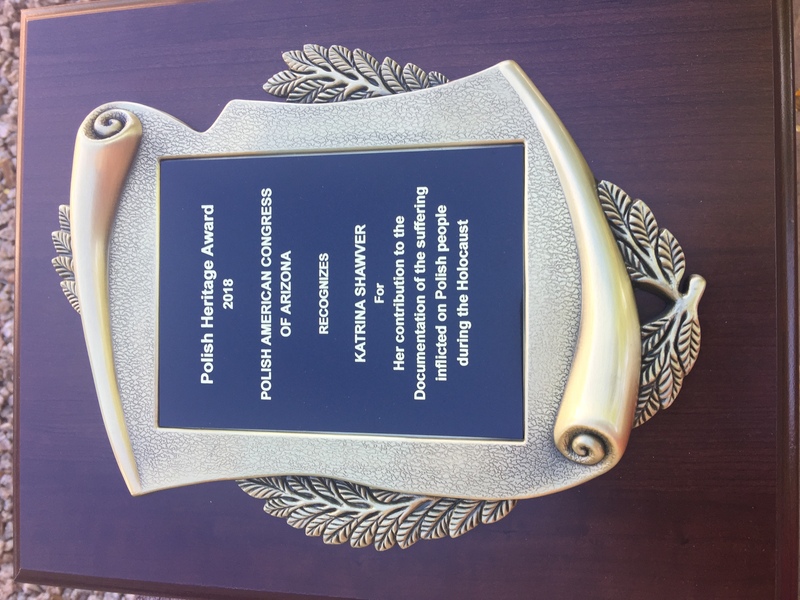 This award is incredibly significant, important, and very special to me, especially as I am not Polish. To know that my book has truly had impact beyond telling one man’s story, is both incredibly validating and rewarding. I wish that Henry and Nancy Zguda were still alive to share in the moment, but I know they are smiling down. 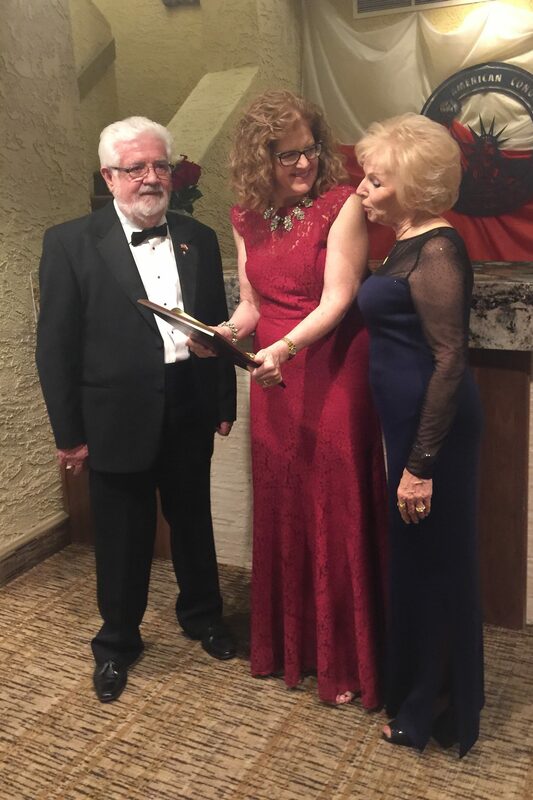 This award will always be one of the most special in my life, and I express my gratitude to the Polish American Congress of Arizona for this honor. The award was presented at the 44th Annual Polish Heritage Ball in Phoenix in front of 190 people. By November 6, at the time I posted this video to YouTube, there had been 297 random shootings in the United States, including the tragedy in Pittsburgh. There seems to be no sign that this pattern will abate anytime soon. Mosques, churches, synagogues, schools, Las Vegas and more have all been scenes of shootings. How do we continue to feel shock without becoming inured to episodes, in the knowledge that no place is completely safe? This synagogue incident was like a punch to the gut – for I spent years researching the Holocaust, and during World War II ninety percent of Poland’s Jews perished for one reason – they were Jewish. A shooter in a synagogue may be random, but anti-Semitism has been with us for centuries and is not random. The timing of this incident is somewhat eerie as November 9 marks the eightieth anniversary of when Hitler both celebrated Nazi Party heroes and 200 synagogues were burned on the evening of Kristallnacht. I almost want to change the phrase #NeverAgain to the more attainable #NeverForget. I cannot protect my Jewish friends from a random shooting or more hate crimes, nor can I tell them they and their communities are completely safe. But, I can and will stand in unity, support, and friendship. I hope you will join me. You are welcome to share to help spread the support. The opinions expressed above are entirely the author’s. 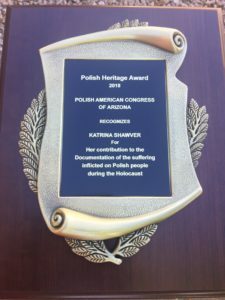 This entry was posted in Commentary, Jewish History, Polish History by Katrina Shawver. Bookmark the permalink. the Central New York Division of the Polish American Congress.